Around 1986, a new company emerged with a product that blew away everything that came before it, that company as TC Electronics from Denmark and the product was the 2290 Dynamic Digital Delay. 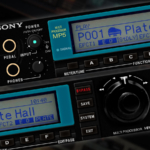 At the time it was an enormously expensive bit of kit, costing $5000-6000 and even more if you were in a far away land like Australia, so it was a product only for the well heeled musician or well established recording studio. Us mere mortals had to look on and dream of one day owning one. The significance of the product was the sheer musicality of the delays and in particular the ducking delay feature, which essentially turned down the delayed signal during the original signal, hence the term ducking, and turn it back up again as the incoming signal dropped. Guitar players loved it for that reason as it allowed the original notes to ring through clearly without being buried in the delay signal. Well here we are in 2018 and the original 2290s are still very much a sought after device and they command big dollars for what is now a more than thirty year old product. 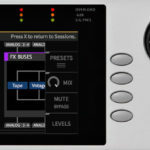 It is no doubt that on going demand that has triggered TC Electronics to remake the device for the modern world via a plugin. Rather than simply make a plugin, they have chosen to offer a beautiful desktop hardware controller to go with it and it mimics the design language of the original 2290 very well. Put it on your must audition list folks and start saving! 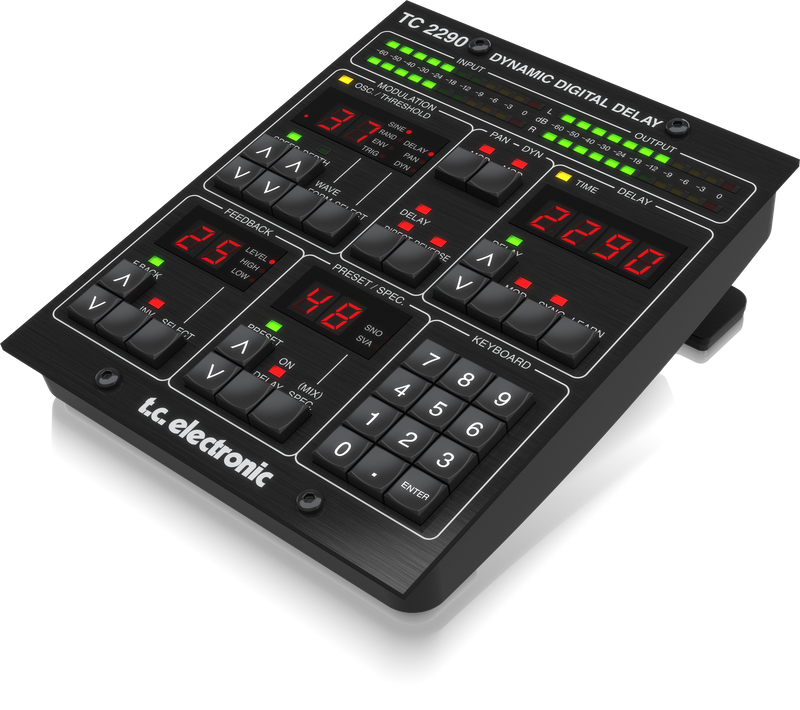 Checkout more details on the TC Electronics TC2290-DT page.